THERE IS NO JAPANI HERE! On the return leg of the trip, we stopped at a local kiosk for well deserved refreshments. The vendor, a hardened old lady who appeared to be in her 70s, inquired where we were coming from. I said: "We just came from Japani." She promptly proclaimed: "There is no Japani here." She went on to say that she had lived in the valley all her life, and that she was pretty sure there was no place called Japani. 1 Hydraulic Engineering in Japani, Visualab Productions, 2010. 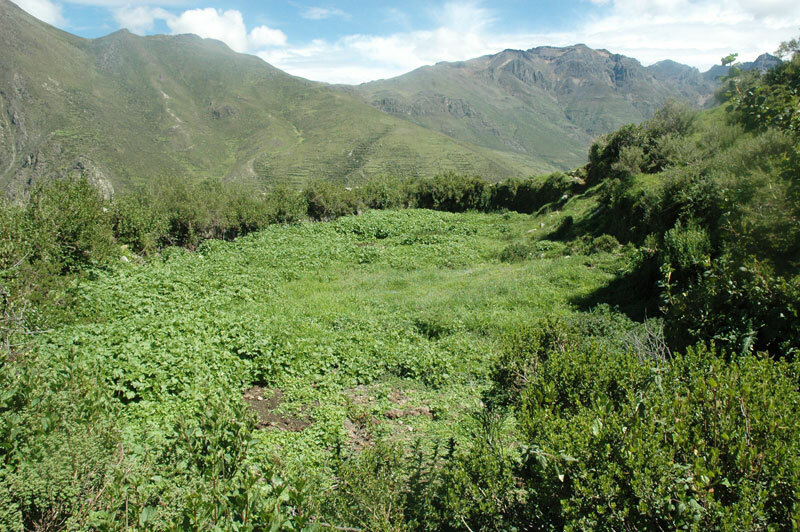 Ancient irrigation reservoir at Japani, in the Santa Eulalia valley, Lima, Peru.